Watch out for RTI - If you're not careful it will be behind you! Blog » Real Time Information (RTI) » Watch out for RTI – If you’re not careful it will be behind you! Watch out for RTI – If you’re not careful it will be behind you! Post by Neilson Watts, Associate Product Manager for Sage One Payroll. 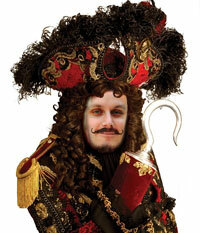 Pantomime season may have come and gone but in all seriousness, if you don’t watch out for RTI it will be behind you! 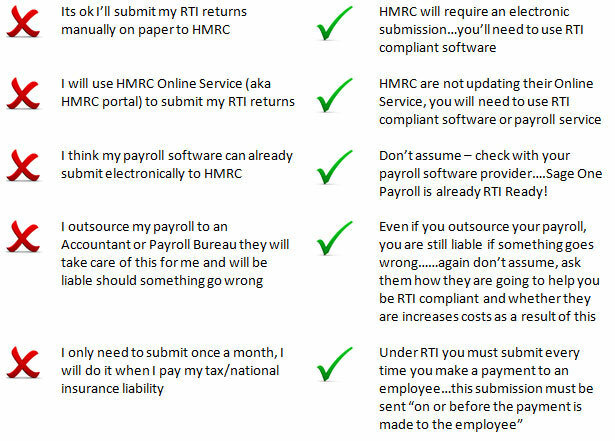 During February 2013, HMRC will be contacting every business in the UK to let them know about their responsibility to start submitting payroll information in Real Time from 6th April 2013 and they are strongly suggesting you ACT NOW! So how can you start preparing for RTI? The best bit of advice I can give is don’t leave it until it’s too late. Like the HMRC say ACT NOW!! So what other top tips can I give to get you on your way to being RTI Ready? Tip 1 – Start now by finding out what RTI is, what it means to your business and how it may impact your payroll and normal business processes. You can download our RTI whitepaper for further information too. Tip 2 – Don’t be afraid to ask your payroll provider what they are doing to help you comply with RTI. Tip 3 – Work with your employees to carry out an audit to make sure the information you store such as Forename, Surname, Data of Birth, National Insurance and Address are accurate and up-to-date. Did you know the HMRC has over 40 employees on their records who are over 200 years old?!! So what are the common misconceptions about RTI? Take a free trial of Sage One payroll today. During your trial our support team will call you and guide you through getting started. You can also speak to them about RTI and how the changes will affect your business.